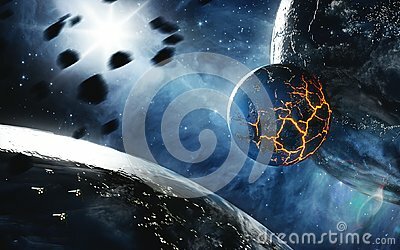 Abstract planet with huge cracks with lava in space. Elements of this image furnished by NASA. Abstract planet with huge cracks with lava in space. 3D concept for global warming and Apocalypce. Elements of this image furnished by NASA.